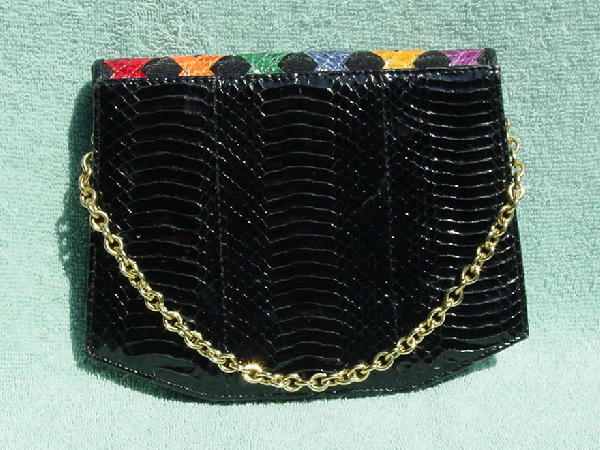 This vintage snakeskin and fabric purse was made in Hong Kong. The back side, bottom, sides, and front are in black snakeskin. 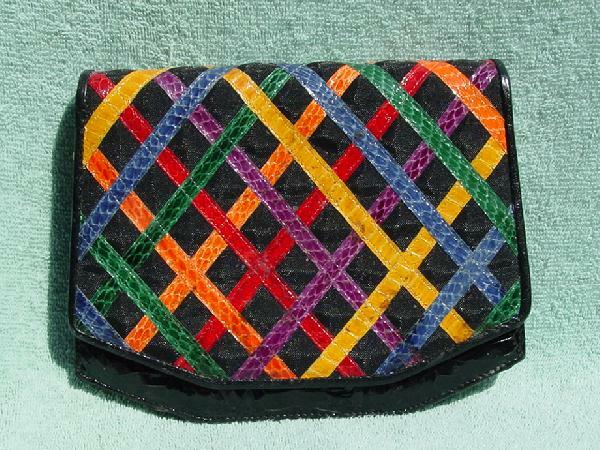 The front flap is in a heavy black fabric covered in a fine mesh with multiple crisscross strips of blue, green, red, orange, purple, and yellow snakeskin sewn onto the mesh. There is a magnetic snap inside the front flap. There is a zippered interior pocket. Eden attached a thick gold-tone necklace chain as the 16 1/2" handle to this purse. You can wear this with anything, daytime or evening.